You are here: Home / Info / In-Ear Headphones vs. Earbuds — Is There a Difference? In-Ear Headphones vs. Earbuds — Is There a Difference? In-ear headphones vs. earbuds, you mean there’s a difference? Surprisingly, yes. Often when we think of earbuds, chances are, most of us will immediately conjure up images in our heads of the first pair they ever owned. Hard plastic, poorly fitting, uncomfortable monstrosities that only sometimes worked, and if you turned your head the wrong way they would pop out of your ears and hit the ground. Forcing you to pick them up, untangle the long wires and clean them before you could put them back in. Nowadays, in-ear headphones and earbuds are space age and high-tech, boasting a myriad of features and abilities we could only dream of just a few years ago. We’ll delve more into that subject later on, but for now, first things first. What’s the difference between earbuds and in-ear headphones? The actual difference? For one, earbuds are headphones that are not designed to actually fit inside your ear canal. Most models don’t have any kind of cushion on them, and they are basically just tiny plastic speakers that sit on the concha of your ears (the space just outside of your ear canal). 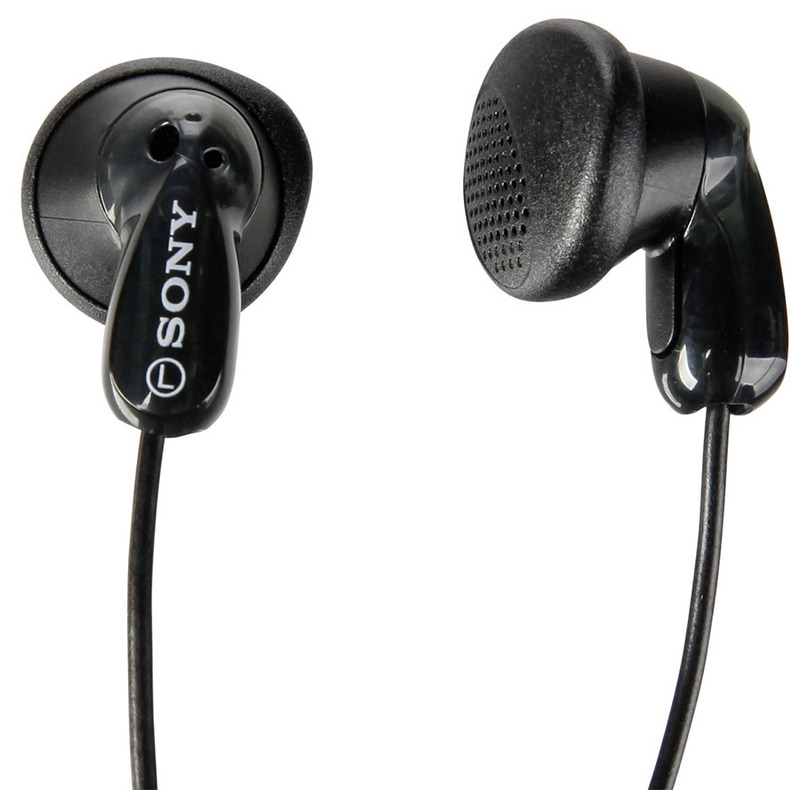 Most iPhone users are familiar with this type of headphone. Some models come with a loop of some sort to hook them over your ears and keep them in place. In-ear headphones on the other hand, are designed specifically to slide past your concha and extend into the ear canal itself. Generally, the extension comes with a silicone tip that covers it and keeps the headphone in the ear, but there are many different sizes, shapes and materials available besides just silicone. This is the style most people think of when someone mentions “earbuds”. As you can now see, there really is a difference. If you want to get even more technical, the specifications of headphones in each can also differ, but we’ll leave that for another day. What are the pros and cons of each style? Before we get into the pros and cons of in-ear headphones vs. earbuds, we first must establish what your lifestyle dictates. Both in-ear headphones and earbuds are for the “on the go” type of person, but what exactly is the most important feature you should consider before you shop? Each style has its’ benefits and drawbacks, and aside from your budget, determining how you plan to use them is very important. Some people want to use them strictly for working out, others like the discrete nature of being able to listen to your favorite tunes without drawing too much attention. Others needing traveling headphones may need more sound isolation. Still others use them because they’re small, cheap and won’t mess up their hair. 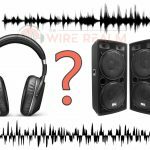 In any case, before you shop for new headphones, what purpose they will serve in your life, should be one of the biggest considerations. What are the pros of in-ear headphones? The biggest advantage of in-ear headphones is portability. They will fit into your pocket or purse with room to spare. 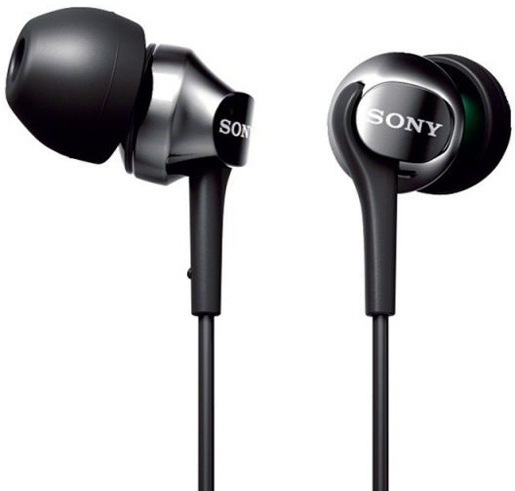 Less obtrusive than on-ear or over-ear headphones, in-ear headphones offer high quality at an affordable price. Most of the high-end brands today come with some sort of hard carrying case, which makes them harder to break and easier to stow, so you don’t have to worry too much about crushing them or having to dig past wires to get to something in your purse or backpack. As far as sound quality goes, you obviously won’t get the same, big driver, rich sound that you would from say, over ear headphones, but that doesn’t mean that the in-ear headphone doesn’t pack a punch. With frequency responses from about 5 to 40,000 Hz on some of the high-end models, your ears won’t be starving for better quality when the bass kicks in. Comfort is another advantage for in-ear headphones. Because they sit in your ear canal, the noise isolation is really quite good. Some brands offer custom fitting ear tips that are form-fitted to your ears, and stay snug when finishing that last mile or last set at the gym. These aren’t to be confused with in-ear monitors, which technically have an in-ear build but are much more advanced internally (and expensive), particularly made for musicians. What are the cons of in-ear headphones? Taking the good with the bad is a part of life, and in-ear headphones have their share too. Having your ears plugged is okay for the gym or library, but out on the street, it can quickly become a hazardous venture. Not everyone is comfortable with something stuck in their ear, and sometimes they can slide out, leaving you with that “water in the ear” feeling as they do. Mid-range sound is also a bit of a problem for in-ear headphones. The bass and treble are good, but they may miss some of the intricate middle ranges, which can leave you with a thin listening experience. For the wired models, hiding them in your clothing is great, but when the wires rub against either you or your shirt, that sound gets transmitted directly to the headphones. What are the pros of earbuds? Comfort is one of the big pros of earbuds, they’re generally large, but lightweight and most models come with a variety of wingtips, loops and cushions to fit almost any ear. Along with their larger size, come larger drivers, giving you pretty good sound quality. Add onto that the ability to take calls, and you have a really powerful companion for your everyday life. Portability is also not a problem with earbuds, with some models including a necklace style cord and magnets to keep them around your neck, out-of-the-way and easy to reach. What are the cons of earbuds? If noise cancellation is a big deal to you, then earbuds may not be the best choice. Because most earbuds don’t actually fit inside your ear canal, outside noise will creep into your ears. This isn’t always a bad thing (see the street example above), but if you’re a real audiophile, any outside sound competing with your tunes is going to be a problem. Comfort is also an issue when it comes to earbuds. Hard plastic speakers sitting in your ears, or hard plastic loops hooked around them, can be uncomfortable over long periods of use. Although there are models that come with silicone tips, they don’t extend into the ear canal, and they’re movement during exercise can be distracting. Waterproof earbuds are also available depending on your budget, but again, nothing is 100% waterproof, and depending on how much you sweat, you may find yourself shopping for new ones before you want to. 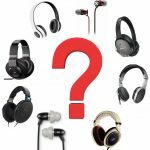 Should I buy earbuds or in-ear headphones? In the final analysis of the difference between earbuds vs. in-ear headphones, both styles offer high quality for the price. Both styles also offer comfort, portability and affordability. We didn’t touch on the subject of wireless technology (there are both Bluetooth in-ear headphones and wireless earbuds available) and the advent of the “smart” headphones, and would be remiss to not mention the abilities of the in-ear headphones and earbuds that are blazing a path into the future. Just about all styles nowadays have Bluetooth, so they will sync with just about any smart phone. Soon they will allow you to customize the sound that reaches your ears, amplifying the sounds you want, and turning down the sounds you don’t. Imagine being able to travel anywhere in the world, and have your smart in-ear earphones or earbuds translate a foreign language in real-time for you. For now though, which style to buy should be based on what you will ultimately use them for, and how much technology your budget will afford. 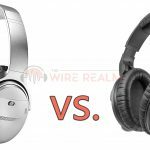 Noise Isolating vs. Noise-Cancellation Headphones — What’s the Difference? 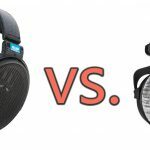 Over-Ear vs. On-Ear Headphones — What’s the Difference? 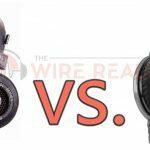 Closed-Back vs. Open-Back Headphones – What’s the Difference?